MEDICAL INSURANCE, AMBULANCE response times and medical cards were among the topics that the government faced questions on today. Fianna Fáil TD Billy Kelleher put it to Minister Reilly that he was ‘playing with people’s lives”. Sinn Féin TD Caoimhghín Ó Caoláin quoted from a survey on persons with neurological conditions, carried out by the Neurological Alliance of Ireland. It found that 42 per cent of medical card holders surveyed have had their medical cards withdrawn and that 50 per cent of those applying for a medical card have been refused. Minister of State at the Department of Health Alex White said that there was no issue of anybody being targeted and that the system is not set up in a way that. He also added that “There is no systematic policy to remove discretionary medical cards”. It’s an income based and financial based system, not an illness based system. But he said there is the exercise of discretion when people have an illness that will affect their financial situation. Fine Gael TD Bernard J Durkan brought up the topic of less people signing up to medical insurance and the problems around this. Minister Reilly said “we have an ageing population and less young people signing up”. However he said he’s committed to working on these issues and that the government is working on measures to encourage young people to join. He also said that the rising number of insurance companies should mean better competition and lower insurance premiums but he said “so far this has not lead to changes we would like to see”. We have an outrageous situation where we have over 260 policies out there. “There shouldn’t be more than 10 policies out there, it’s confusing for the customer”. Ambulances are arriving too late and people are dying. The Minister said that the amount of investment has gone up year on year. However he added that “Nobody is denying our ambulance service does not need to improve, our reviews will inform us how to make those improvements”. Fianna Fail TD, Barry Cowen said “One third of those in life threatening situations were left waiting too long and he’s prepared to wait for a review”. Adding that “It’s taken a programme for you to address this issue”. Socialist Party TD Clare Daly said “Your denial of the situation is frightening, it goes against the experience of the people”. TD Tom Fleming brought up the issue of consultants posts that are currently vacant. He said “less than one third of consultants positions have been filled” and that “there was no applicants for some posts”. He added that a prime time programme gave information that one locum was paid 300,000 euro for 12 months. “We need to move with more urgency”. There are currently 34 vacant consultant posts. The Health Minister said that the situation is improving and that there are some positions that are very difficult to fill. He said all jobs were publicly advertised. Reilly added that our new salary scale compares extremely favourably with the UK. 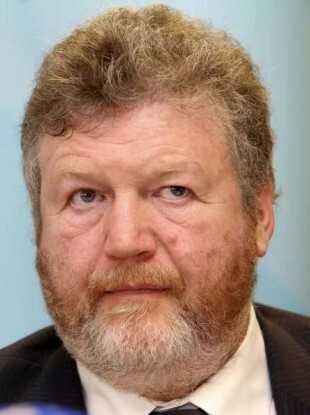 Email “Reilly accused of needing Prime Time programme to be aired before taking action”. Feedback on “Reilly accused of needing Prime Time programme to be aired before taking action”.